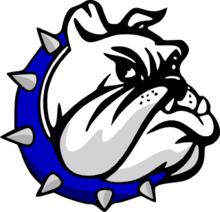 LEXINGTON — On Wednesday night, the Crestline Bulldogs boys basketball team loaded up and headed to Lexington High School to compete in a Division IV sectional semifinal game. Their opponent was the South Central Trojans. These two teams had met back on Jan. 3 and the Trojans made off with a big 68-47 on Crestline’s home floor. This time on a neutral court, South Central came away with the victory by a final tally of 71-51. South Central jumped out to the early lead and would never look back, up by four points over Crestline in the first, 13-9. A high scoring second quarter for both teams also went the way of the Trojans, as they would take 33-26 into halftime. The second half started the same way. South Central came out to outscore the Bulldogs 16-11 and appear to put the game out of reach at 49-37. Crestline’s comeback attempt would fall short as they allowed the Trojans 22 points in the fourth while putting up a 14 point effort themselves. Ty Clark would be the top Bulldogs’ scorer for the evening with 19 points to go with seven rebounds and a blocked shot. Tyler Sipes was the only other Crestline hoopster to hit double figures, scoring 10 points while dishing out five assists, grabbing four rebounds and swiping a steal. Zach Gregory chipped in seven points, three rebounds, three assists and a block for the ‘Dogs. Davon Triplett scored five points and grabbed nine boards to go with three blocks. Max Anatra had four points for Crestline and Kevin Winkler scored three while grabbing eight rebounds. Aaron Goff and Kaden Ronk finished up the Crestline offensive attack with two points and a point, respectively. Bulldogs’ stat line: 18/40 (45%) from the inside, 2/14 (14%) from the outside and 9/20 (45%) from the free-throw stripe; 39 team rebounds, nine assists, five blocks, three steals and 16 turnovers. The Trojans would have three players finish in double figures. Ben Lamoreaux was the top scorer on the night with 24 points and 12 rebounds, earning a double-double. Jason Hale was close to a double-double himself, scoring 14 points and grabbing eight rebounds. Michael Ponchel finished with 10 points for South Central in the victory. Trojans’ stat line: 21-39 (54%) from the inside, 5/21 (24%) from the outside and 14/24 (58%) from the free-throw stripe; 42 team rebounds, 12 assists, nine steals, two blocks and 12 turnovers. Crestline’s season has come to an end while the South Central squad moves on to the sectional finals game against the Wynford Royals. This matchup will take place on Friday March 3, also at Lexington High School. Tip-off is slated for 8pm.